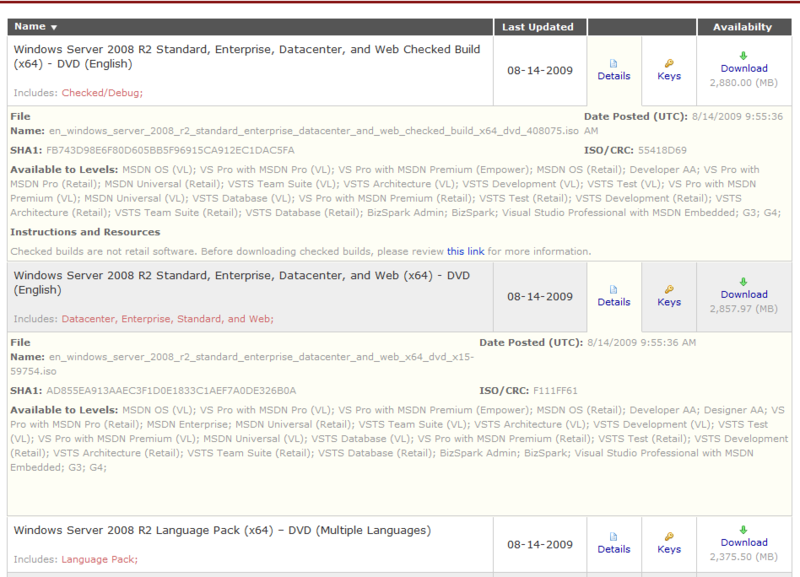 Check out our Windows Server 2008 R2 Activity Center for the complete coverage on the latest server version of Windows. UPDATE: Just found this out that Windows Server 2008 R2 can be downloaded from TechNet Evaluation Center for free evaluation. Download it here. how do i dl this? the download arrow not activ. only detail r active . You will have to be a subscriber of either MSDN or TechNet Plus inorder to download the bits. is the free evaluation version the same version as what is being offered on MSDN? yes but it will most probably have time limit for expiration. So I take it that Microsoft have decided to produce it in 64-bit only? yes. Windows Server 2008 R2 is the first 64-bit ONLY released Server OS from Microsoft. how do i subscribe ? cost ? 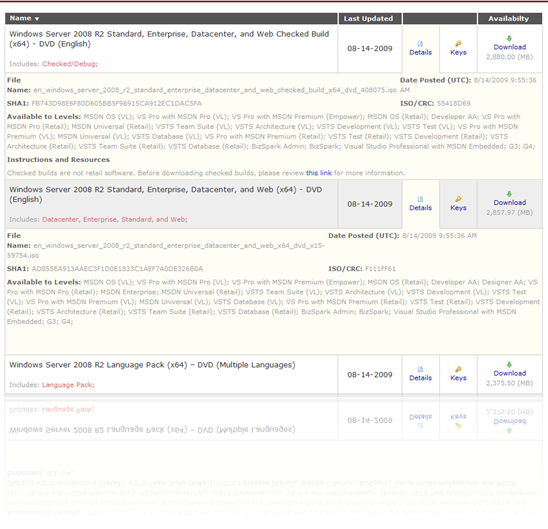 The Eval 180-days of 2008R2 no includes Essential/Foundation editions.